On Thursday, September 3rd, one of the world's foremost experts on business sustainability will be coming to Asheville, just to help Western North Carolina’s businesses understand what it takes to grow a truly "responsible company". From 8:00 – 9:30am, he will be leading a 90 minute session designed to help our region’s companies and organizations understand and improve all of their impacts, with guidance from a leader in the field of responsible business. Vincent Stanley has been at Patagonia since its inception in 1973, and has helped to shepherd the company through over 40 years of growth and evolution. Throughout that time, he has served it as a senior leader and “chief storyteller” (including directing its Sales and Marketing departments) while it remade the outdoor industry time and again, and sent major shockwaves through many industries besides outdoor gear. Patagonia thrives by being more than just a clothing and gear brand; they are one of the world’s most famously respoinsible and thoughtful companies. They tranparently lay bare their supply chains, tell their customers not to buy their products if they don't need them, give at least 1% of their gross income to charity, and yet they still continue to grow and profit at an impressive pace. Their commitment to work for environmental and social well-being is woven deeply into the company’s culture and branding, and is integral to its successes and continued leadership. And in this session, Vincent will tell the story of why they have done this, and how their commitment to tranparency and sustainability has served as a key driver of business success. 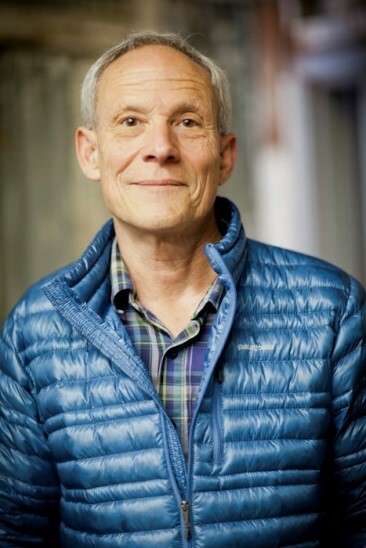 Moreover, he is committed to helping other companies and organizations learn from Patagonia's 40+ years of trials and errors, so that they can generate similar outcomes of their own. He will talk about key opportunities to do so, and has provided an excellent check-list of ways to examine and improve your organization's impact. Tickets are $10. Please RSVP at https://responsiblecompany.eventbrite.com to secure your space. Vincent Stanley, co-author with Yvon Chouinard of The Responsible Company, has been with Patagonia on and off since its beginning in 1973, for many of those years in key executive roles as head of sales or marketing. More informally, he is Patagonia’s long-time chief storyteller. Vincent helped develop the Footprint Chronicles, the company’s interactive website that outlines the social and environmental impact of its products; the Common Threads Partnership; and Patagonia Books. He currently serves as the company’s Director, Patagonia Philosophy, and is a visiting fellow at the Yale School of Management. He is also a poet whose work has appeared in Best American Poetry. He and his wife, the writer Nora Gallagher, live in Santa Barbara.